With its warm waters under a bright tropical sun, Costa Rica is the perfect location for a surf adventure! We'll put all of our hard earned strength to the test on the waves of the Pacific. We'll have the opportunity to explore lesser know areas of the nearby hillsides via ATV and even have a chance to zipline in Mal Pais. All this with our favorite fitness trainers and friends. 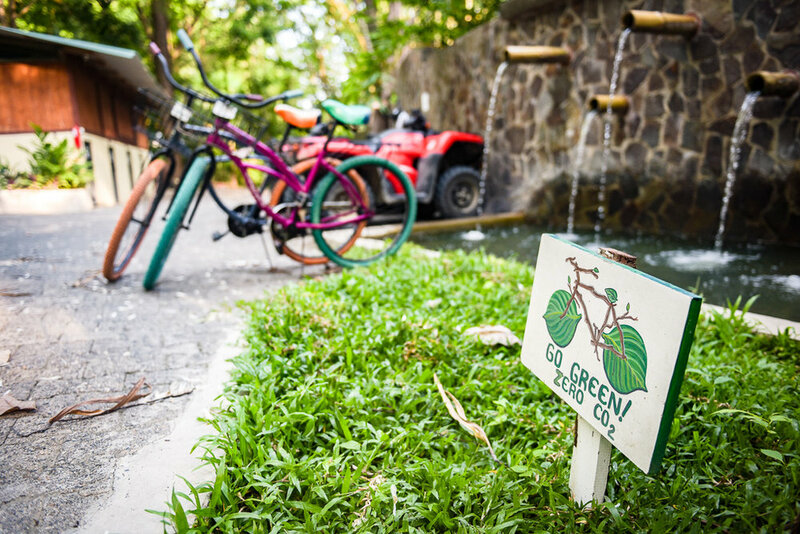 Costa Rica is a renowned world leader in environmental sustainability; inspiring examples abound! Arrival at the Juan Santamaria International Airport in San José. After passing through Immigration you will be met by a member of the National Chamber of Tourism (CANATUR) who will give you a sticker that will facilitate you clearing customs. Upon departure, find your driver holding a sign with your name on it. Transfer to your hotel for your overnight stay. Enchanting view of the Pacific from your beachside hotel. Spend these days surfing the waters of Playa Hermosa. After a leisurely breakfast, get ready for a half day surf lesson. We'll transfer to Playa Hermosa or stay at Playa Santa Teresa, to enjoy a half day surf lesson. We'll be met at the hotel by our local surf instructor. The guide will take you to the best surf breaks, depending on tides and weather. After on-sand instructions, we hit the water to tackle the waves. 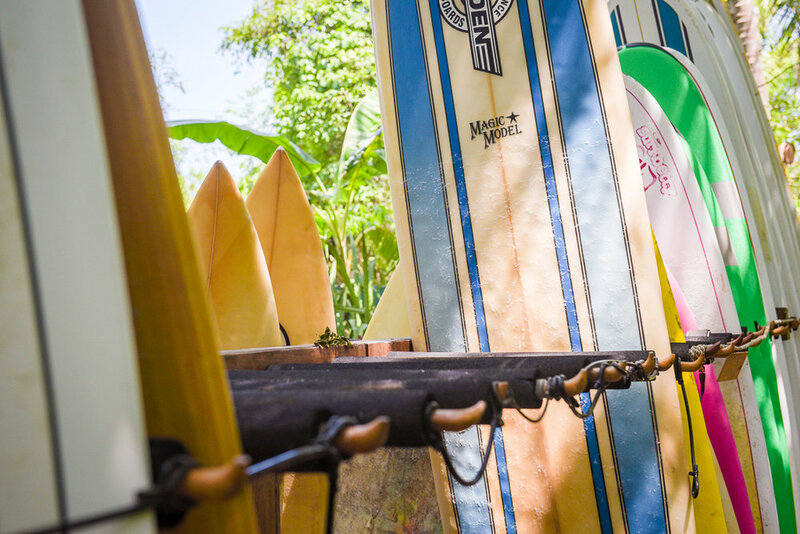 Whether you are an expert surfer or first-timer, our instructors offer the expertise needed to ensure you have a great time. After a couple hours in the water, we'll return to the hotel for lunch. Opt to join the group in a group yoga class or opt to spend some time on your own. Soak up the abundant flora on our way to Montezuma Falls. Your visit to Santa Teresa is not complete without a visit to Montezuma. This small town offers visitor many activities and diverse, beautiful natural surroundings to enjoy. On this half-day tour you can experience a good combination of experiences. First challenge of swinging from one tree to another on one of the most beautiful zip line’s in the country, enjoy the view of the landscape from a unique perspective being on top of the trees of the forest, then take a ride on your ATV through the dirt roads reaching the south side of the peninsula discovering lots of white sand empty beaches. From Montezuma we take a short hike to the impressive falls where you can take a swim in the natural pools and then enjoy a Costa Rican lunch in one of the best local restaurants in down town where you can also take the chance to shop from local artisans. Return to the hotel in time for a shower and/or swim before dinner and sunset at the beach. Santa Teresa Beach offers the perfect combination of relaxing beaches and a pristine tropical rainforest. White sand beaches, lush vegetation and spectacular sunsets set an amazing stage for your retreat. At Florblanca, you will always enjoy fresh, healthy, and locally grown food prepared by the chefs at Nectar. Stimulate your senses with surfing, hiking, horseback riding, or zip line excursions, just to name a few of the many adventurous activities available to you. When you are ready to thoroughly indulge, try any of our relaxing and rejuvenating body treatments at the stunning Spa Bambu.